From the Stardust collection, these Chimento earrings are a fanciful pair. Delightful white diamonds are sprinkled across each hoop earring that looks like it was wrapped with 18kt yellow gold strands, and the post backings will keep them comfortably in place. 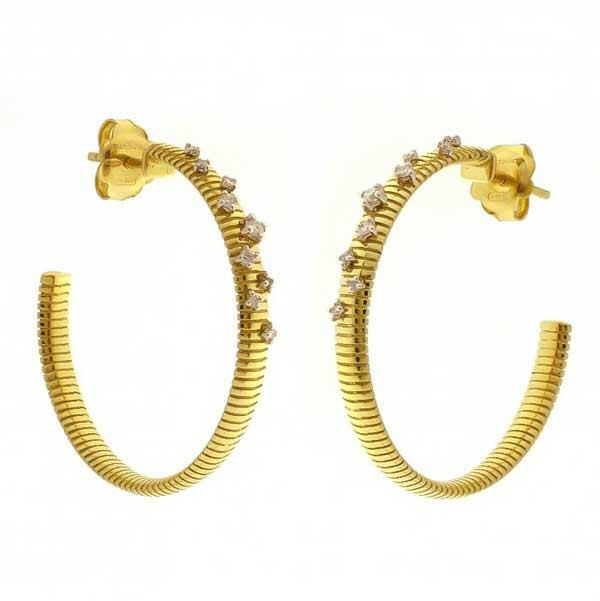 These Chimento earrings are so fabulous you'll want to wear them all the time.